Backlinks refer to outside domains pointing links back to your website or pages on your website. In short, it’s when a website links back to your website. Your backlink profile is basically links pointing to your site from external sites, and in turn, this contributes to your backlink profile’s overall relevance, strength, and diversity. The number of backlinks can include links from one domain or from multiple domains. It’s quite common for multiple domains to link back to content that is relevant, useful or authoritative. In a perfect world, this is how backlinks are gathered, from content that is unique and shared on other sites that want to be associated with the content. In general, think of backlinks as being a vote of confidence. The votes are for content that is linked to your domain from sources other than your own domain. Generally speaking, backlinks are important and we’ll discuss why in the following section. As for search engines, backlinks play a role in building value and importance of a page. Generally speaking, the number of backlinks used to be an indicator of how popular a page was, but things have changed and there are various ranking factors that come into play when evaluating backlinks. These days, quantity isn’t that important and if you have too many backlinks from questionable sources, then your domain’s authoritative signals may become hindered. Variety is the key to obtaining a natural link profile. Links come from various domains and links have various strengths. If you want to get a better idea of what your backlink profile is like, then you can look at KPIs, such as what domains are referring links to your site and the countries where the links are coming from. Don’t forget to check the TLD, short for top-level-domain. Some domains are better to get links from. These domains are considered to be sources that are trusted, and a few examples include links from government entities and educational institutions. Such domains are looked at as being trustworthy. Don’t ever pay someone to link back to you. If you do decide to try to build links via sponsored content, then make sure you label it as “sponsored” or else you will be running afoul of FCC rules. Many publishers choose to use the “no-follow” tag for such links. So, you can consider doing this too. In the past, it was a good idea to add listings to DMOZ and other directories like it. However, times have changed and such directories are not that relevant but do try to build a relationship with webmasters of directories that are focused on a niche. Getting a backlink from such a site may help you out. Domains that end with .gov are good for backlinks too. They are valuable links. The reason why is because not just anyone can start a website with that extension. You should make sure you personalize your messages to webmasters, such as mentioning why you like their sites and brands, and you can cite their articles. Doing such things will make webmasters more receptive. As for a point of contact, consider using sites such as LinkedIn because these are professional sites. The process of creating backlinks to your page can be time-consuming and stressful, make sure to hire a Houston SEO company to do the work for you. Monitor links that point back to your site. Many domains from countries such as Brazil and Russia are sometimes often looked at as being spam, so disavow links from sites located in such countries. You can do this via Google Search Console. If you are currently searching for ways to integrate effective SEO strategies into your website, you may have come across the concept of link building. Any Houston internet marketing services provider can explain to you what link building is and why you need to start doing it sooner rather than later. This is a brief guide to link building which aims to offer you a better understanding of the concept, as well as a few actionable ideas and strategies. Link building is the process of obtaining links from other websites to your web pages, with the purpose of improving the authority of your website, and therefore its search engine rankings. Whenever a website with high authority and with lots of readers links to you, a little bit of this authority gets transferred to your website. This is the online equivalent of expert recommendations. When a website links to another one, the two web properties become associated. This is why not all inbound links are good for your website, and why you should seek for links from high authority websites in niches or industries that have a connection with your area of activity or with the main topics of your website. For instance, if you sell flowers, you won’t benefit too much from a real estate website linking to you, as the two industries aren’t related in any way. On the contrary, a link from a wedding planner or from a funeral home will boost the relevance of your web pages for their main keywords. Similarly, if a low-quality website links to you, this link may do more harm than good, as it would be a signal that your web property is associated with low-quality service providers. Too many links from such sources and you may notice a negative effect on your rankings. This is why smart business owners choose to hire Houston internet marketing services to help them identify local websites with high authority and establish a connection that would enable them to obtain some high-quality links to their websites. There are multiple ways to build solid relationships with high authority websites in your industry. One surefire way to get noticed is to use information from the high authority website, and give them credit for it. Another method is to ask the website author for an interview which you can publish on your own website. Guest blogging is another effective way of building long-lasting relationships with other website owners. If your website doesn’t have an associated blog, it’s time to set up one and start blogging. These are only a few ideas to help you understand the essence and the basic principles of effective link building. If you use the above advice, we would be happy to hear from you. 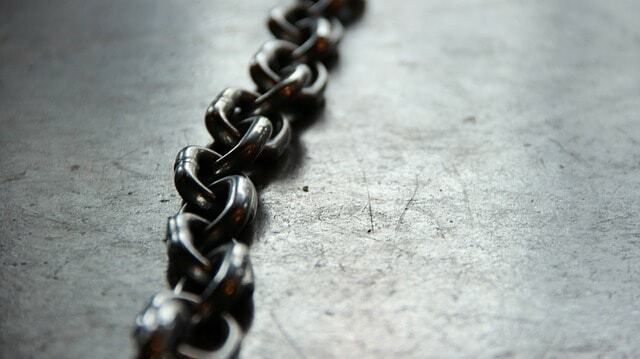 How is link building working for your website? Which of the tips we’ve provided here has helped you the most? Contact or call SEO Houston Pros today for more information regarding link building and link building strategy. We encourage you to visit here so that we may start by providing you with a FREE website audit to get started.